Leon Clarance, from Somerset in the United Kingdom, is a film producer and actor best known for Sense8 (2015), Blake's 7 and Kodachrome (2017). He was also involved in the financing of Pirates of the Caribbean 3, The Bourne Ultimatum and small, charming indie files like The Boy Downstairs and Steel Country. When it comes to endurance sports, Leon says: 'I take a lot of time to finish races but not very long to finish dinner.' He joined the 4 Deserts Club as a Grand Slammer at The Last Desert (Antarctica) 2018! Bart Van Schilt is from Belgium but lives in the Netherlands. He completed the Marathon des Sables in 2015 but says "now I want something really tough". 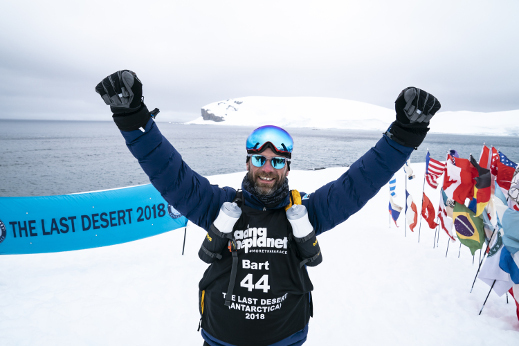 At The Last Desert (Antarctica) 2018 Bart's fourth RacingThePlanet / 4 Deserts Race, he joined the Grand Slam Club! Poland's Marek Rybiec is the founder and CEO of iWealth Management. Marek joined the Grand Slam club at The Last Desert (Antarctica) 2018! He has successfully completed he Atacama Crossing (Chile), the Sahara Race (Namibia) and the Gobi March (Mongolia) earlier this year. He has also completed RacingThePlanet: Patagonia 2017. Through his 2018 challenge he is supporting the charity Double Challenge Fund. Korean competitor Choi Hongseok is no stranger to RacingThePlanet / 4 Deserts Ultramarathons. He has completed six races and finished 2018 with a Grand Slam at The Last Desert (Antarctica) 2018. When he is not running through deserts he works in business administration at One&One in Seoul, South Korea. Takuya Wakaoka, a freelance writer from Japan, is no stranger to RacingThePlanet / 4 Deserts Ultramarathons but his improvement in speed and placing is impressive. 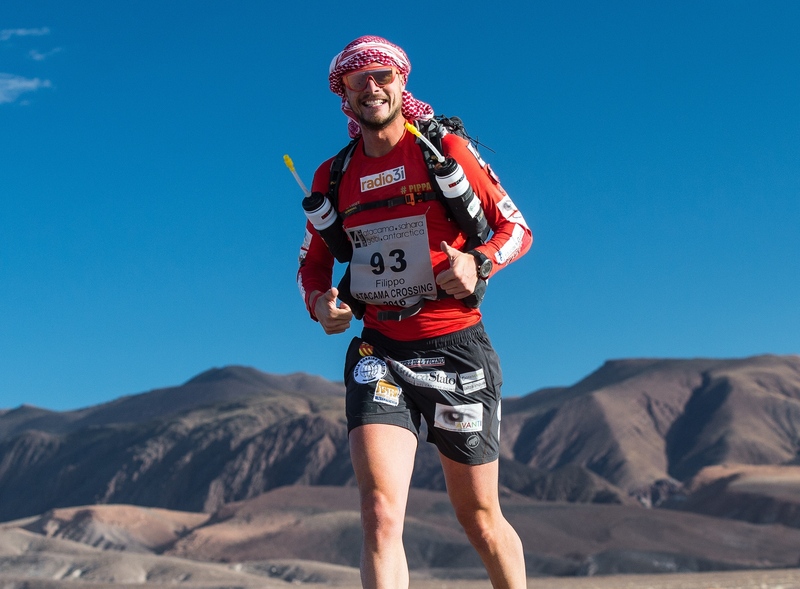 Taku's first 4 Deserts race was the Atacama Crossing in 2015 where he finished a respectable 27th. He then surprised us all by finishing 4th at the Sahara Race (Namibia) 2016. 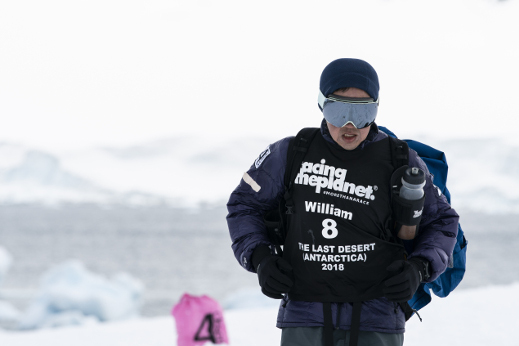 In 2018, he completed the 4 Deserts Grand Slam at The Last Desert (Antarctica) where he finished third overall. .
South Korean University student Cheongsin Heogwak is studying in Seoul. 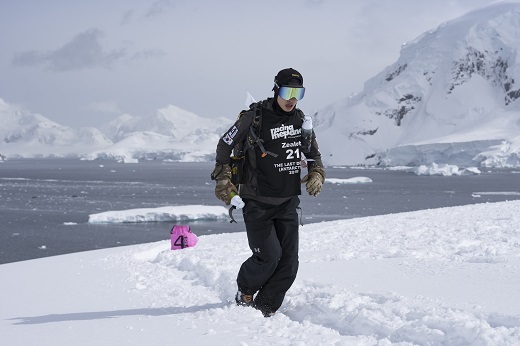 He completed the Grand Slam in 2018 when he crossed the finish line at The Last Desert (Antarctica) 2018. In 2018, 23-year old Jacqueline Bell from Brisbane, Australia, is the youngest female to ever complete the 4 Deserts Grand Slam. Her love for running began when she placed 3rd in her first Ultra Marathon in 2015, a 50km loop around the Gold Coast. She has also competed in a number of other running events over the past three years such as trail runs, half marathons, marathons, and three Oxfam 100km trail runs. Jacqui has always liked to push the boundaries, she has stated that "Running brings purpose and meaning in my life, I love it. It makes me want to jump out of bed every morning and be the best version of myself." By achieving a strong mental base, she is a firm believer that any physical challenge put in front of you can be overcome. This philosophy has become especially apparent with her running feats. Originally from France, Hichame has been living in Qatar since 2008. As an Ultra Endurance Athlete, training and competing is an integral part of his lifestyle and is a passion, he is an accomplished vegan athlete and full-time wellness & plant-based nutrition advocate. He has participated in several ultra trail runs (mainly 50km and 100km distances) and IronMan/UltraMan Triathlons. Joining the 4 Deserts Club as a Grand Slammer was part of his plan to run across the four most inhospitable deserts in the world; the hottest, windiest, driest and coldest. The idea came from asking himself "how can I make each of my steps, each kilometer count towards helping others?". He aims to demonstrate how somebody ordinary can make an extraordinary positive impact on the wider community. Through this 2018 Grand Slam feat completed he has raised enough funds to help 804 people to get access to clean water, Project with Water wells has been developed. William Chew's family has been selling cakes and snacks to Hong Kong people for more than 50 years but the company CEO has managed to stay away from the mango sago in his preparation for the 4 Deserts Grand Slam! Malaysian-born William has a number of marathons under his belt including Kuala Lumpur in his home country. 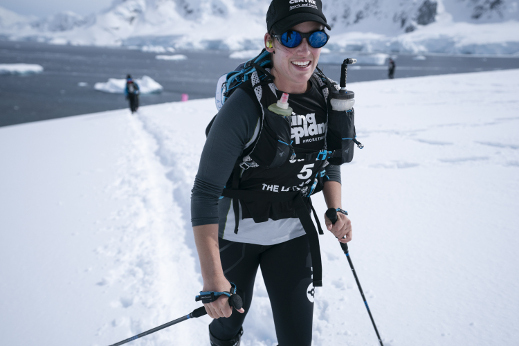 At The Last Desert (Antarctica) 2018, William's fourth RacingThePlanet / 4 Deserts Ultramarathon, he was the the first person from Malaysia to join the 4 Deserts Club and Grand Slam! stranger to endurance sports. He ran his first marathon in 2011 which set him on a path of endurance challenges. The next, more original, challenge was to run 100 marathons in 100 weeks starting in 2014. 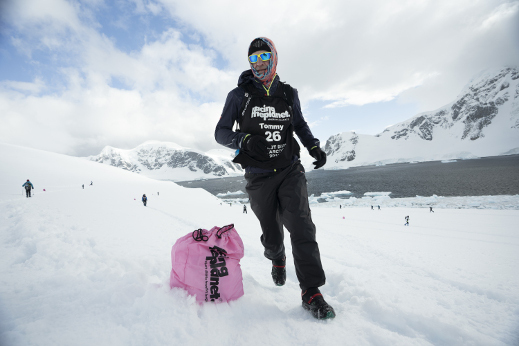 Having successfully completed this challenge, he then completed a 100-mile race in 2016 and again in 2017 followed by the Marathon des Sables Peru in the same year. Tommy joined the 4 Deserts Club as a Grand Slammer in 2018 and in this process he also raised $42,000 for the charity Little Big Help. Dong Hyeon Yoo, from South Korea, is in the army for his country. At 21 years of age, he is one of the youngest competitors in the race. 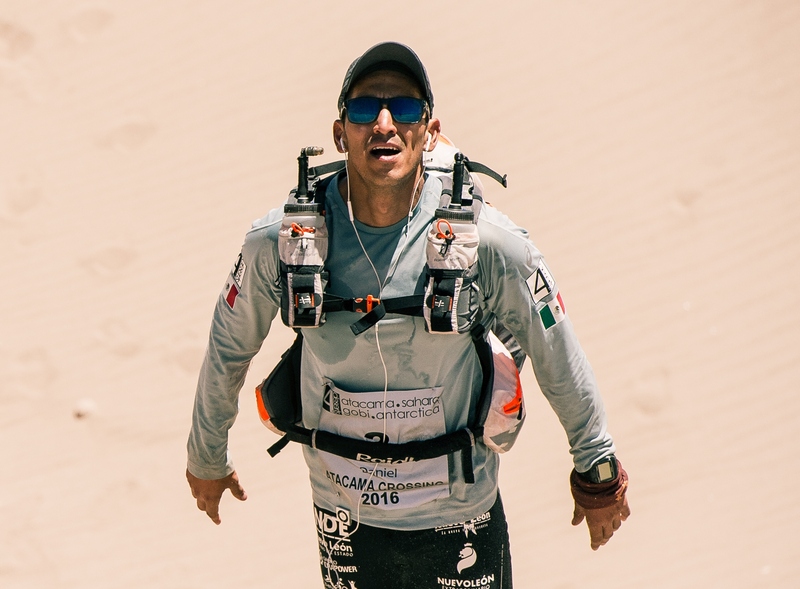 In his first RacingThePlanet / 4 Deserts Ultramarathon, Dong Hyeon finished in 22nd place - that was despite coming to the first checkpoint nearly last having collected a bag full of rubbish on the course (that had been blown in from the sea). 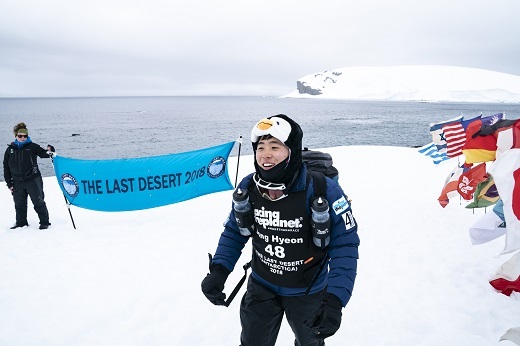 Dong Hyeon joined The Last Desert (Antarctica) as his final race in completing the Grand Slam 2018, where is the youngest male to achieve this feat! Wong Ho Chung, a physical fitness instructor for Hong Kong's Fire Services Department, spends his spare time burning up ultramarathon trails around Asia and the world. He started running competitively in 2011 and has since taken first place at The North Face 100 races in the Philippines and Hong Kong, races including King of the Hills, NE Mountain Marathon and Sea to Summit, as well as Top 10 finishes in Vibram 100 (World Tour) and Marathon Des Sables, and ranked 16th at UTMF in Japan. 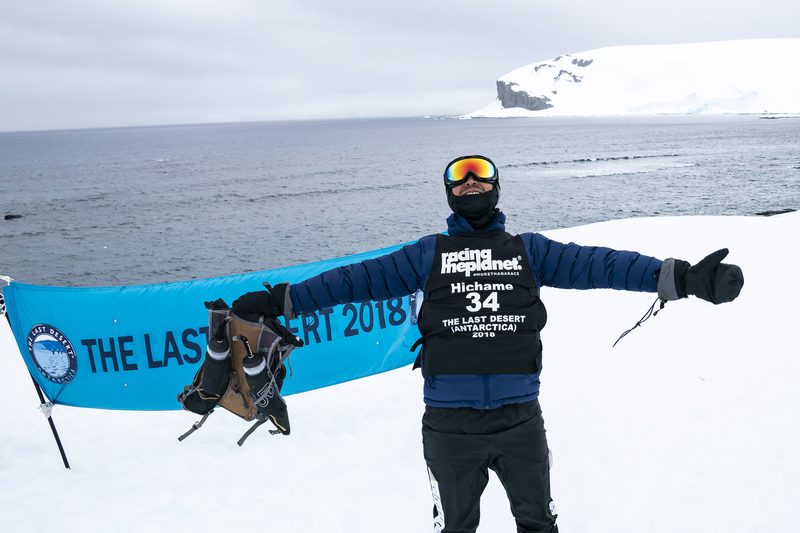 At The Last Desert (Antarctica) 2018 Ho Chung completed the 4 Deserts Grand Slam 2018 and became the 4 Deserts Champion 2018, after completing the Namib Race (Namibia), the Gobi March (Mongolia) and the Atacama Crossing (Chile) already this year, placing 2nd, 1st and 1st, respectively. 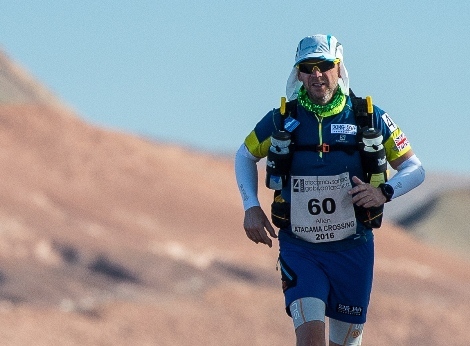 Avi Blaiberg is attempting to make history as the first Israeli competitor to achieve the 4 Deserts Grand Slam feat - completing all 4 Deserts races in one calendar year. He is a previous finisher of the Everest Marathon and Olympus Marathon and has already completed the Sahara Race (Namibia), the Gobi March (China) and the Atacama Crossing (Chile) in one jam-packed 2016. 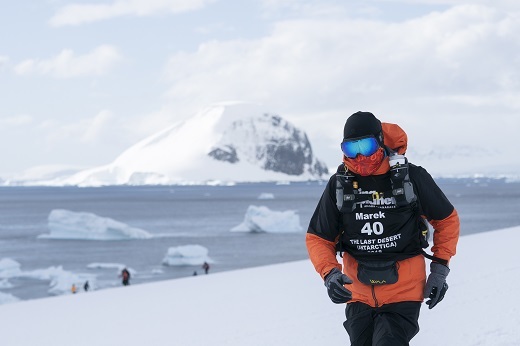 The Last Desert (Antarctica) is his final stop on the 4 Deserts journey. Avi steadfastly finishes in the top quarter of the field in each race, has appeared to enjoy the race settings as much as the competition itself. During the Gobi March, he exclaimed, "it has been amazing!" When he is not racing or traveling the world, Avi is a mechanical engineer in the city of Raanana. Switzerland's Filippo Rossi is from Lugano where he is, trying to enter the freelance journalist world. Trail running is Filippo's passion, and he is especially interested in ultra-trail racing. His experience includes Transgrancanaria, Endurance Life Dorset, Ultrabericus, Vulcano Trail and marathons in Lisbon, Seville and New York City. In 2016, Filippo's goal is to finish the 4 Deserts Grand Slam - all 4 Deserts races in one calendar year - and he keeps both a website and blog to document his journey. 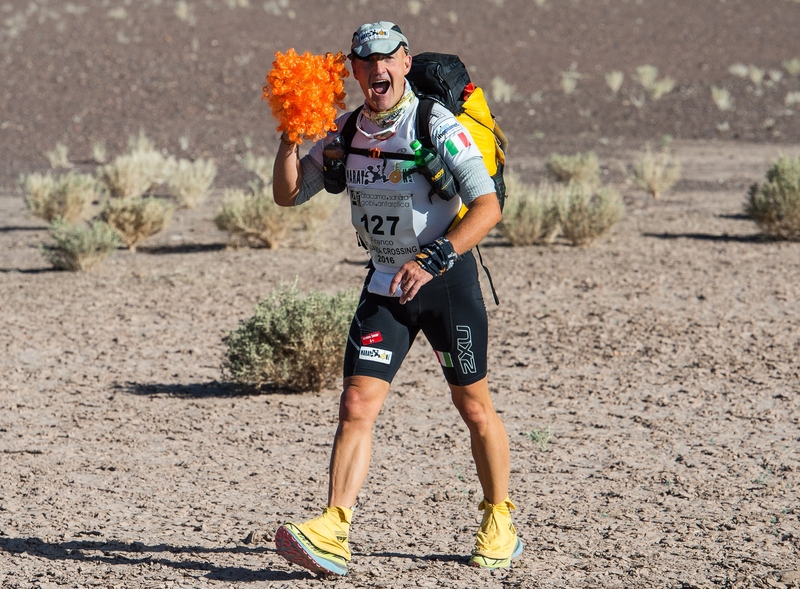 The year has seen him finish in the Top Ten at every race, at the Atacama Crossing (Chile) and Gobi March (China) he finished 7th overall, while his performance at the Sahara Race (Namibia) earned him an 8th place overall finish. Filippo took the third place at The Last Desert (Antarctica), where he is also set to join the 4 Deserts and 4 Deserts Grand Slam Clubs. American Brendan Funk is a student, blogger and ultrarunner from Kansas State in the United States. Brendan watched a documentary and then set his sights on the 4 Deserts Grand Slam - all 4 Deserts races in one calendar year. 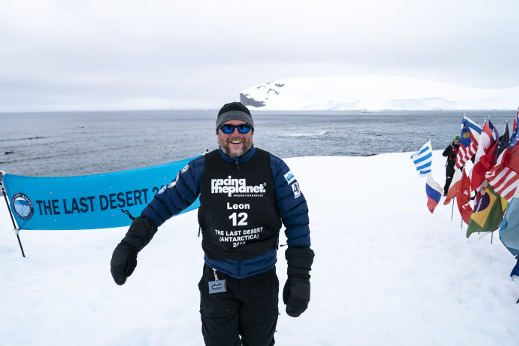 A finish at The Last Desert (Antarctica) 2016 has fulfilled his incredible dream. Over the year, Brendan has worked hard to fund his entries into the Sahara Race (Namibia), the Gobi March (China), the Atacama Crossing (Chile) and The Last Desert while also fundraising for a charity. He chose Barnabas Charities Incorporated, a non-profit organization dedicated to improving the lives of people with special needs through summer camps, school year education programs and outreach. About the 4 Deserts experience, Brendan says, "this year has been nothing like what I expected. I am so grateful for that. The friends I have made, the belief in myself I have gained. We all joke about how expensive this year is, but I couldn't have spent that money in a better way. I'm just so incredibly glad to have a body and a life that allows me to take this journey. Pumped to live it and see how it affects me in the long run." Italy's Franco Zomer filled his calendar with all five races in the 4 Deserts / Roving Race Series in 2016. He said "I thought about changing my car, but when I heard of the Grand Slam Plus my decision was made! I signed up and I am enjoying myself." The enthusiastic competitor and lifelong athlete has finished with consistent performances at each of the races. At RacingThePlanet: Sri Lanka, his first race of the year (and the one he declares his most difficult due to the humidity), Franco finished 37th overall. This followed with 40th and 38th place finishes, respectively, at the Sahara Race (Namibia) and Gobi March (China). At his final hot desert race at the Atacama Crossing (Chile), he placed 44th overall. Franco is an osteopath living in the city of Prato who has dedicated over two decades of his life to helping others work through physical ailments using such techniques as osteopathy, physiotherapy, inner balance, meditation and breathing. He credits his own curiosity to becoming an ultra-distance runner. Before joining the 4 Deserts, he raced in numerous races including Ultra Trail Mont Blanc, Petite Trot a Leon, Tor des Geant and Marathon des Sables. Franco says that he, "confronts limits using the body, mind and spirit," and "knows that the answers to the questions that arise are already within him." He lives his work with passion and with a mission to teach people how to live longer and live well. About the 4 Deserts, he says: "WOW, It has really changed my perspective on everything. I live my life with less prejudices." He also says that he has made many new friends. Upon his finish at The Last Desert (Antarctica) 2016, Franco has joined both the 4 Deserts and 4 Deserts Grand Slam Clubs. For others joining the races he advises: "Have a good time, it is a great and positive experience." You will recognize Franco for his signature orange wig! Mexican contender Daniel Almanza is an ultra-marathoner who has run around the world through desert, jungle and mountain terrain. 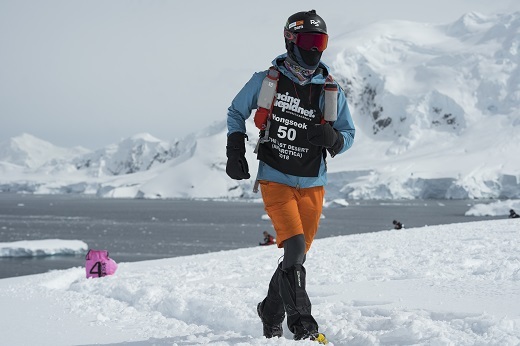 He is looking forward to experiencing Antarctica's beauty, its coldness, and to be running in such a wonderful place with friends, sharing this achievement with them. 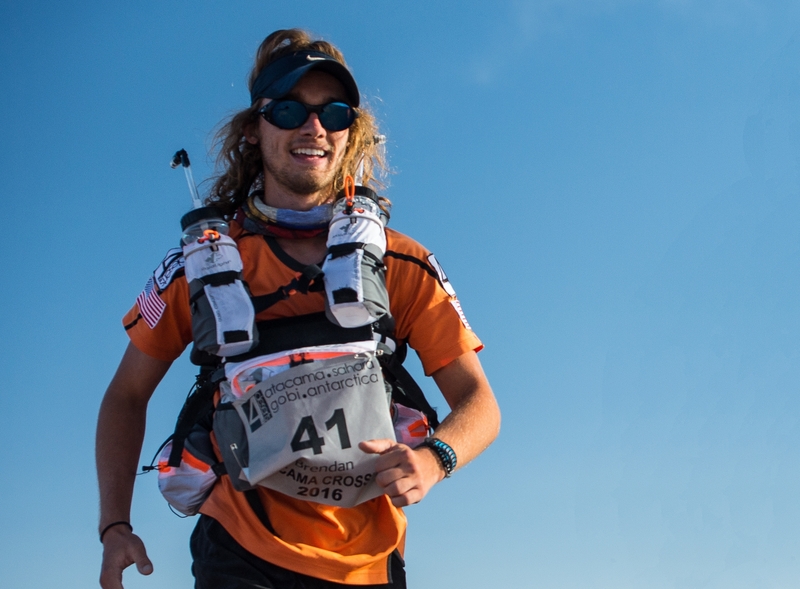 With a passion for running, he cannot wait for the unique and challenging experience of accomplishing the 4 Deserts Grand Slam - all 4 Deserts Races in one year. By the end of 2016, Daniel has completed the Sahara Race (Namibia) 2016, the Gobi March (China) 2016, the Atacama Crossing (Chile) 2016, and of course, The Last Desert (Antarctica) 2016. . The Gobi March has been the hardest race so far for Daniel but he looks forward to the Long March on each race. "In the Sahara Race and the Gobi March I felt very strong and with a lot of energy, always concentrating, thinking, enjoying and focusing on the finish line." Daniel will be taking his trusty sleeping bag to Antarctica - his favorite piece of kit, along with cookies and soup, which he loves. Daniel says "after completing the races I am a better person, more integral. I know myself better and know my limits and capabilities. I am definitely more complete and happier".. It is the people that make the races so much fun for Daniel "In the Gobi March there was more contact with the local population because we ran through villages, contact with the children and the adults in Hami was a support for me, it was really special." Aside from this, Daniel has made many 4 Deserts friends including five people who will be in Antarctica with him, some of them also Grand Slammers. "With no exceptions, all the Grand Slam 2016 group are extraordinary people and great runners." Japanese Keigo Miyazaki is one of the five competitors in 2016 who are aiming to complete the Grand Slam Plus - all 4 Deserts races plus the Roving Race in one calendar year. He is an experienced competitor, having completed many international ultramarathons, and his array of 4 Desert races includes RacingThePlanet: Sri Lanka, the Gobi March (China), the Sahara Race (Namibia) and the Atacama Crossing (Chile), The Last Desert (Antarctica) - all in 2016. He found the Gobi March to be the toughest, simply because of the heat. He feels that the races are having an impact upon him, but he is not exactly sure to what extent yet, although he says that one of the highlights was the Long March in the Gobi March when, he walked with Brazilian competitor Mario until the finish line came into sight. “I was very happy," he says. While he has not been happy with the rain protection from his poncho, he does have his favorite piece of equipment: his blister kit which, combined with Ramen noodles, helps him through the races. 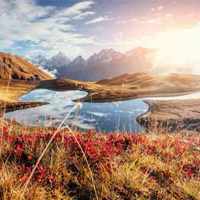 He has found the people in Sri Lanka have had the biggest impression on him, whilst it was the culture in the form of the camp team from a local tribe in Namibia and nature in the Gobi. He is looking forward to seeing whether he can enjoy a meal passing through Drake's Passage. When Keigo is not busy racing or training, he works as a chef at Miyazaki-Ryokan restaurant in Japan. Allen Kerton is a landscape architect who lives in Singapore - he is originally from the UK. The 56-year-old has completed the 4 Deserts Grand Slam. He says that Gobi March 2016 was the toughest, "the incredible heat during the 80k Long March pushed me almost to my limit. The Sahara Race (Namibia) was not as tough by comparison, but was still challenging. 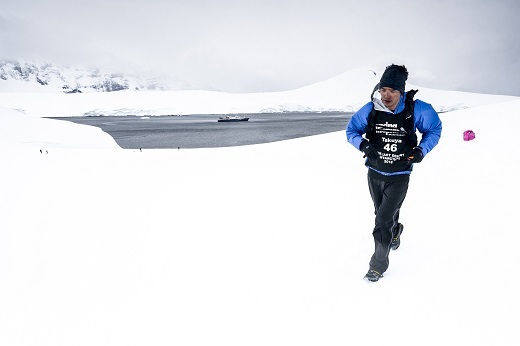 "Given this experience, he is hoping his training in Singapore, where he runs 75 to100 km per week will aid him, even though the Singapore heat is the exact opposite to what he has experienced at The Last Desert in Antarctica. The training though has had a big impact on him: "I have come to realize that almost anything is physically possible, provided you have the mental strength, determination and will to succeed. “Yes, I think doing the 4 Deserts has changed me - I hope for the better." One motivation for him has been his support for the Song Saa Foundation in Cambodia, which has helped get him through the tougher moments in the races. This motivation has also had other benefits: "To date, approximately 3,000 Euros have been raised [for the charity]. My fund raising goal is 10,000 Euros." Another plus has been the number of friends he has made, "particularly friendships with fellow Grand Slam and Grand Slam Plus competitors - we have shared many adventures together, helped each other through some tough times and had a lot of fun during the 1,000k we have travelled together this year." He has also picked up some local friends, one of his most memorable moments being when he encountered two Brown Hyenas, near the end of the Long March in Namibia. Allen says, "doing the 4 Deserts Grand Slam has been a big focus for me this year. For those thinking of doing the 4 Deserts, he has some advice: "Competing in a 4 Deserts Race is not for everyone, but if you are already considering entering a race, then I would say "go ahead and do it". There is no guarantee that you will finish, but even if you don't, that is a thousand times better than to not have tried at all." 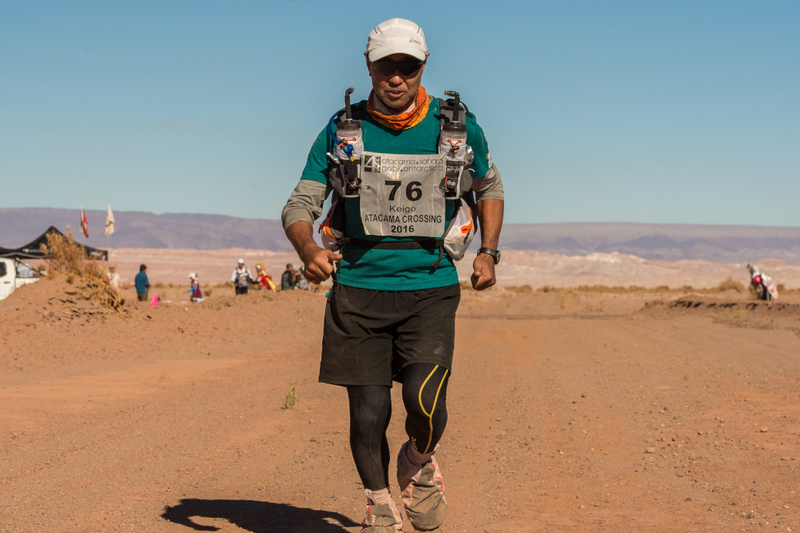 After completing the Atacama Crossing (Chile) 2015, Vietnamese competitor Thanh Vu said "I immediately fell in love with the experience. In simplicity, you see the most beautiful spirit from the competitors, the course and the volunteers. Quitting is never really an option," she says, "the races have taught me a lot about inner strength and humility. I have become bolder in the way I live my life because the races help me see that I am stronger and more capable than I have myself believed." She then set herself "the ultimate challenge"- the 4 Deserts Grand Slam in 2016. Thanh has completed all of the four races to achieve this goal – she is the first South East Asian woman to complete the feat. It is a story about turning the wildest dream of one's imagination into reality. 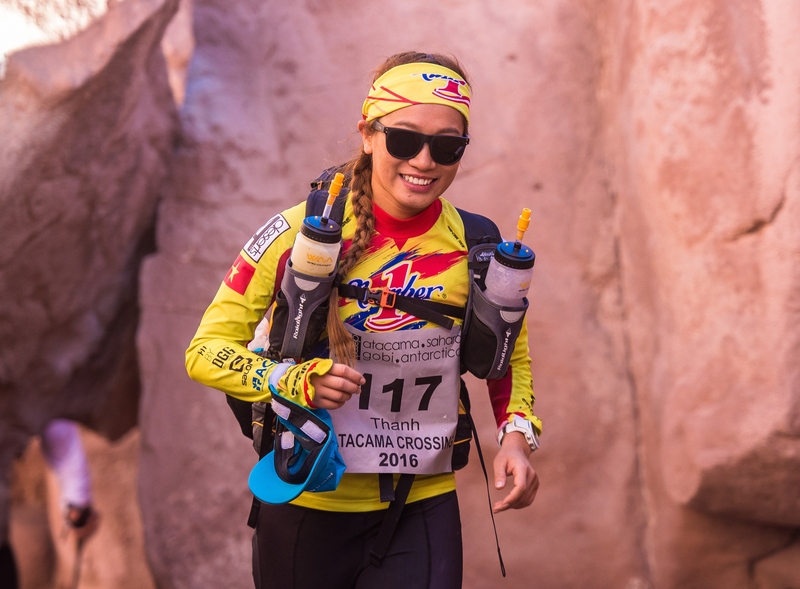 In terms of gear, Thanh swears by her OMM 25 liter backpack and Honey Stingers energy chews to help get her through the races, although it is other runners who inspire her to carry on, including Jax Mariash and Mike Sheesley, both role models for her. Her most memorable moment was at the Atacama Crossing when "on top of a really steep hill on day two, it was insanely hot and I took a break. I couldn't have been there longer than five minutes before I turned around and saw Camel Fung (an amputee with a prosthetic leg) climbing up the hill with such tenacious force. I thought it would be a while before he made it to the top but there he was, pushing harder than any of the able-bodied competitors. I could feel his presence exuded determination. I will never forget such an inspiring sight." Based in Ho Chi Minh City, Thanh Vu describes herself as a product of globalization.